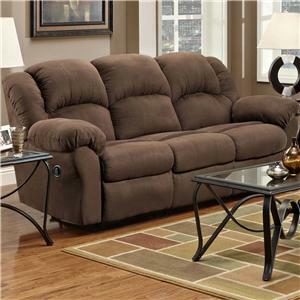 This cozy reclining loveseat offers a great relaxation space for your living area or family room. 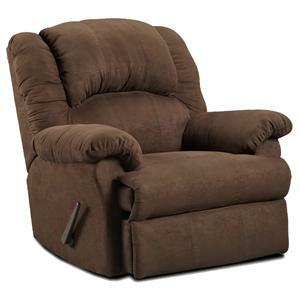 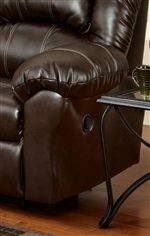 The chocolate brown microfiber/leather, plush pillow arms, and cushioned back make for a comfortable place to relax and entertain. 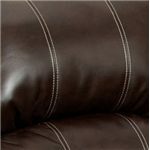 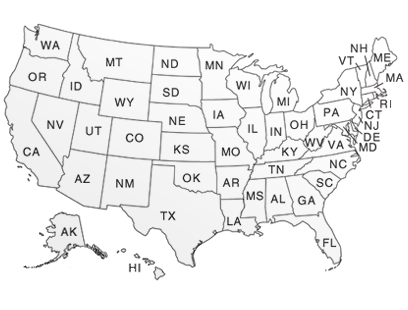 The casual style fits well with a number of decorating styles to accommodate your home design. 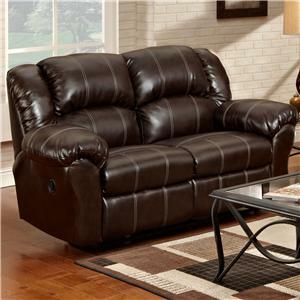 With a casual, contemporary silhouette, this loveseat features two tier pub-back styling and extensive double needle saddle stitching detail that lends visual interest and detail to the piece. 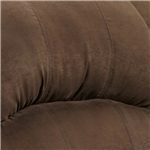 Stylish, plush pillow arms provide comfort while pad-over chaise provides plush sink into seating. 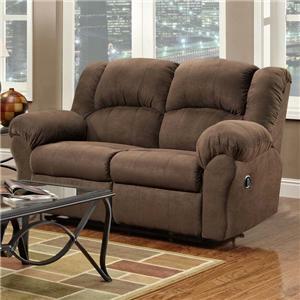 Comfy and classy, you can't go wrong with this reclining loveseat. 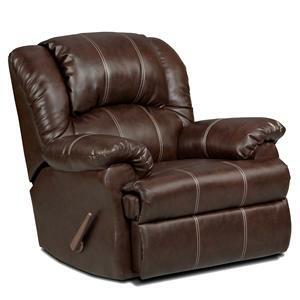 Combine with the coordinating sofa and rocker recliner for a great new living space. 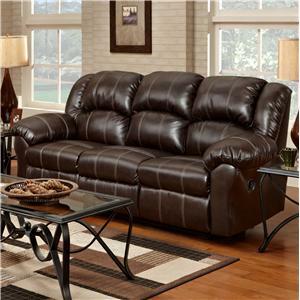 The 1000 Reclining Loveseat with Pillow Arms by Affordable Furniture is available in the area from BigFurnitureWebsite.